Unstitched lehenga in pink net. It kali has embroidery done in zardosi ,stone and resham work. 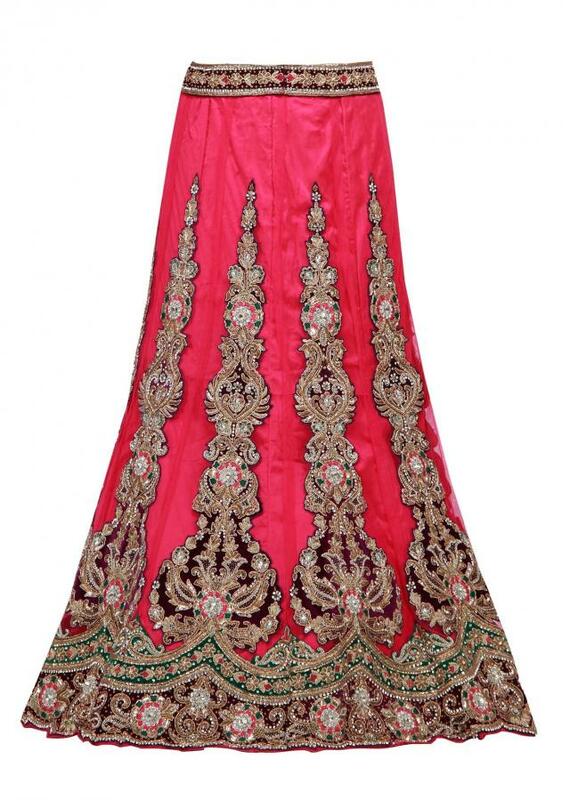 Blouse is unstitched in unstitched in pink net with embroidered butti. 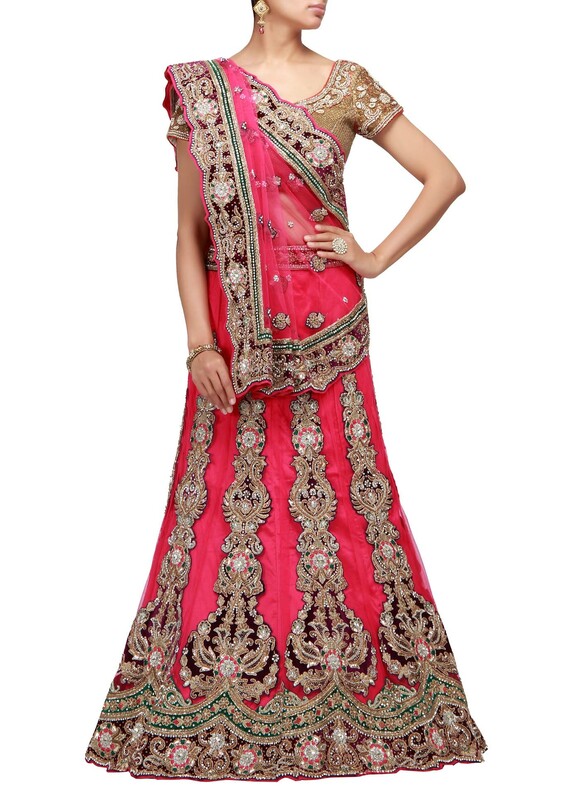 Its dupatta is in pink net with embroidered butti and border.